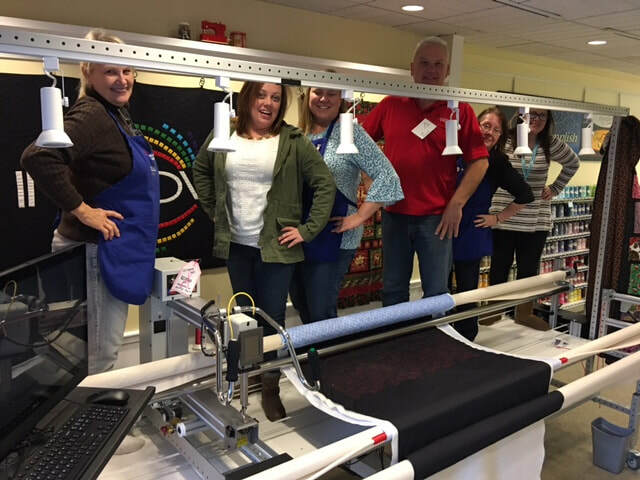 The Best Longarm Quilting Machine on the market. 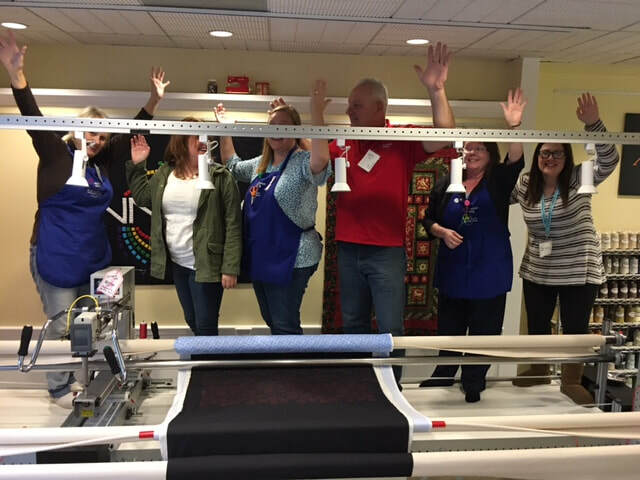 Your Innova Longarm Quilting machine will be around for a very long time! Why? STRONG! DEPENDABLE! The AQ Michigan and Indiana Team put the Innova frame (table) to the ultimate test! The table didn't budge! It did not make a dent! The frame did not bend or sag in any way. Our frames are made of extruded aircraft aluminum. If that is good enough to withstand in an airliner structure, wouldn't it stand to reason that it would be more than strong enough for your quilting. ​Think about this, an adult is over 100 pounds at least and only ONE in this picture is over 200. So add that weight up. Our combined weight was over 700+ pounds! Look no hands! Dead weight on the frame. We have attitude and faith in our frame. Own the best machine that will service your quilting needs for years to come with little maintenance and great service. ​ Call our store today or drop by to put your hands on the most maintenance free, best performing machine on the market. See below for a location near you!